﻿ Swisslagoon Restaurant and Hotel, Cebu | FROM $11 - SAVE ON AGODA! "Your in luck your staying at the best beach hotel on the isl..."
Have a question for Swisslagoon Restaurant and Hotel? "Andy, the owner of the hotel is a lovely guy who makes everyone feel very welcome." "The TV offers a lots of Channels and movies so nice chill nights." "OVERALL the stay at Swisslagoon is the best and most accommodating with access to all activities for a cheap price." "Warm and welcoming -- not even enough to describe our host,..."
Built in 2013, Swisslagoon Restaurant and Hotel is a distinct addition to Cebu and a smart choice for travelers. The city center is merely 78.8 km away and the airport can be reached within 180 minutes. With its convenient location, the hotel offers easy access to the city's must-see destinations. At Swisslagoon Restaurant and Hotel, the excellent service and superior facilities make for an unforgettable stay. While lodging at this wonderful property, guests can enjoy free Wi-Fi in all rooms, daily housekeeping, 24-hour security, laundromat, taxi service. The ambiance of Swisslagoon Restaurant and Hotel is reflected in every guestroom. television LCD/plasma screen, internet access – wireless, non smoking rooms, air conditioning, wake-up service are just some of the facilities that can be found throughout the property. The hotel's recreational facilities, which include snorkeling, diving, massage are designed for escape and relaxation. Whatever your purpose of visit, Swisslagoon Restaurant and Hotel is an excellent choice for your stay in Cebu. "the best the owner Andi and his staff liklik do everything t..."
good location near resto bar and beaches. Specially thanks to Mr. Andi and his assistant Clifford for so much kind and helpful to prepare my delicious breakfast. Andi always ready to assist your needs and provided free towels and toiletries. Sure to come back again with my family. Swiss lagoon sounds grand, it was ,but not in size. It was grand in character and hospitality . Andi the owner and LikLik, his assistant were very polite and helpful .They made you feel part of the place. Andi was full of information, and spent time to have a chat over a beer. Your not going to find a more accommodating host anywhere else in the Philippines. Not only is your host a great chef ( expect amazing breakfast and dinner if your order at Swiss lagoon) but your right in front of a beautiful beach. The beach is low bearing meaning as the tides change so does the beach, you can see the water come up or go away during the day and the sand is nice and soft. Your in luck your staying at the best beach hotel on the island. — recommendation is to visit the beach restaurants, they serve food and alcohol, and rent skim boards for the beach. Also through swisslagoon rent a scooter, best price you can get and the island is fair small 2 liters of gas is cheap and gets you around the whole island. You can visit caves and other beaches. —- back to swisslagoon, your room can get pretty cold so make sure to turn off A/C when you leave. The TV offers a lots of Channels and movies so nice chill nights. The bathroom and hotel overall is clean, the roof is where dinner is usually served by your host Andi and his amazing assistant. The roof has a perfect view of the beach so I recommend going during day light hours, if your looking for a Pool to the right of the beach you’ll see a big hotel, they have a beach entrance and I believe it’s 100-200 pesos for entry to their pool. You can also make friends with people staying there at the beach restaurants in which case you can go as their guest. OVERALL the stay at Swisslagoon is the best and most accommodating with access to all activities for a cheap price. IMPORTANT!! No ATM on the island so withdraw money accordingly in cebu before you go. Andi, the owner, is a great guy, very hospitable and he goes out of his way to fulfill all the needs of his guests. He's treating every single guest like being someone special and that makes the place amazing. 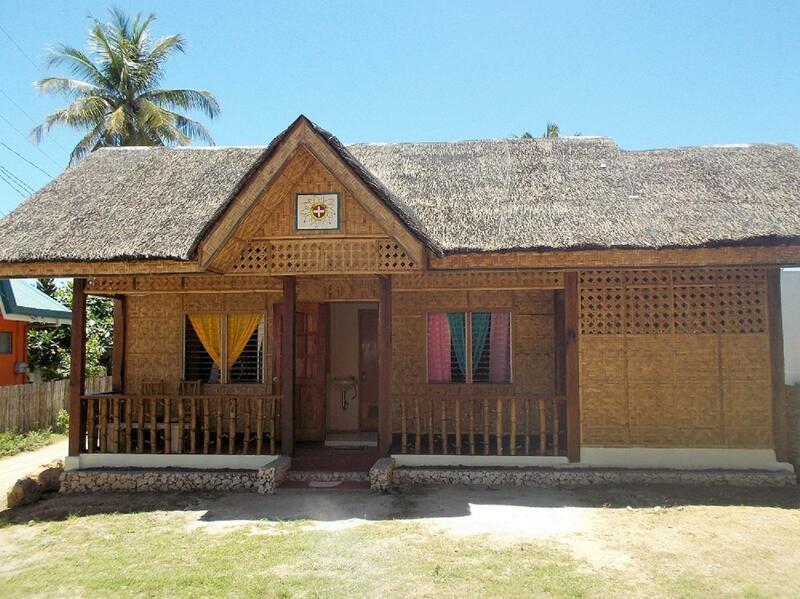 The hotel is actually a house with two rooms to accommodate guests, and nipa huts to accommodate larger groups. The owner—Andie, was so hospitable and hands-on in taking care of his guest/s. He tries to help in any way he can, he even arranged our transportation to visit key tourist spots in Camotes. The hotel is a few steps away from Santiago Bay, which is a white sand beach very similar to that of Boracay but with less commercial establishments with about 4 restaurants/restobar adjacent to the beach. Santiago Bay is a beautiful spot in the Camotes and the Swisslagoon hotel is 30m from the water. Andy, the owner of the hotel is a lovely guy who makes everyone feel very welcome. He's been living in the Philippines for years and knows the best places in the Camotes. The hotel is very clean and tidy and has everything you might need. There's a rooftop terrace for enjoying evening breezes and the rooms have aircon and fans. Highly recommended. The place is located on the side of the beach opposite to where the crowd and noise is. The room is so clean and with functioning amenities. But what amazes me and my wife is the hospitability and friendliness of Andi (owner), his wife and their aide Lek-Lek. They even set us up a candle light dinner at the roof top! :-) Plus Andi's food is so delicious. So if you're looking for a quiet, relaxing place to chill where you can truly enjoy as a couple in Camotes then this is the place to be. Would definitely go back to this place. Santiago Bay is a special part of The Philippines and the Swisslagoom, and it's owner,Andi, has made staying there even more special. Be warned, you will struggle to find an ATM on the island or good Wi-Fi speeds, but that's not's not what this place is all about. It has a great chilled island vibe. Andi and his assistant did a great job making my stay an absolute pleasure. I would love to go back. Owner Andy really helped out when we were stranded by inclement weather and couldn't take the ferry for two days. Gave excellent advice on outside restaurants. 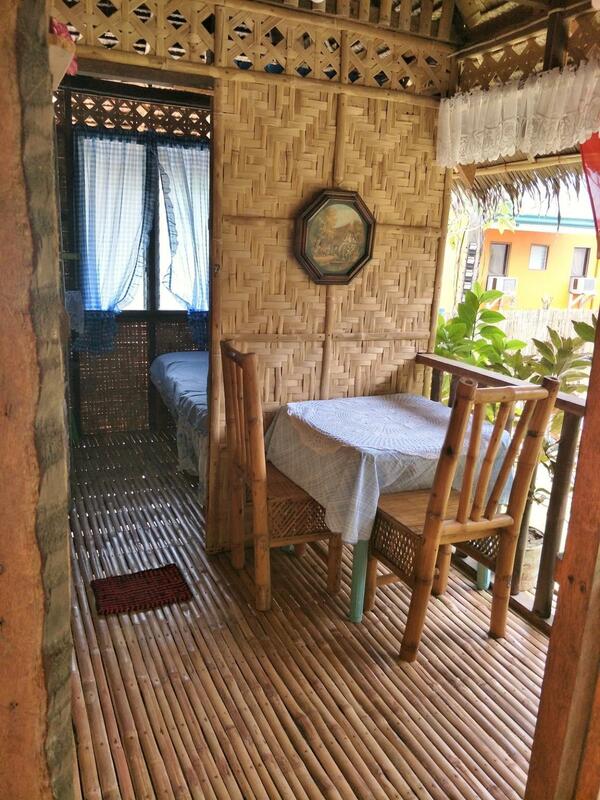 It is cozy, clean place just near the beach. The owner is a really nice person who can prepare delicious breakfast, give you useful tips about the island and just chitchat about everything. I'd like return there as soon as possible. We had a large group of people. We rented the big house and a normal room. The large house can easily handle 8 people and has a nice kitchen. The smaller room was very nice and the location is right near the beach. All with this place is satisfactory but the thing that makes this 5 star all the way is the magical Andy. I travel all over the world and rarely have a seen a more warm, friendly, funny, and hospitable host than Andy. I will definitely come back. The Swisslagoon Hotel is a very nice hotel in Santiago, Comotes Islands & is in a central location near the beach. Easy access to the attractions of the city & has large comfortable rooms. The owner manager Andi was very pleasant, helpful & made my stay very comfortable. I would highly recommend this hotel to my family & friends. exellent stay at Swisslgoon resort. Very easy to go to the nice beach at 50 meters. The owner and his wife are very helpful,it's difficult to be better. If you go to Camotes island , go at Swisslagoon. Very close, 4 restaurants are on the beach with good food and cheep. No problem also to rent a motorcycle for good price. What stood out for me the most is the quality of service this place has. Andi, the owner, deserves more than 5 stars! He works around your budget, and clearly knows how to welcome customers well. The property is in an excellent location. Just seconds away from the beach, but not in the crowded, noisy side. You can enjoy peace and tranquility together with convenience and accessibility. The best of both worlds! This place deserves more praise! I would recommend this to anyone who would travel to Camotes Island. This resort is truly a gem. Place may be small but the owner has a very big heart. Andi (the owner) makes homemade bacon and is a delish. He even gave us a complimentary dish made of potatoes which I believe is a swiss version of hash browns. Yummy! His place has a very homey ambience and is clean all the time. The facilities were enough to accommodate all our needs. Andi always checks up on us if we need anything whenever he can. I even had a chance to have a few glass of beer with him and he is such a very clever and nice guy to have a conversation with. Will definitively refer his place to family and friends.